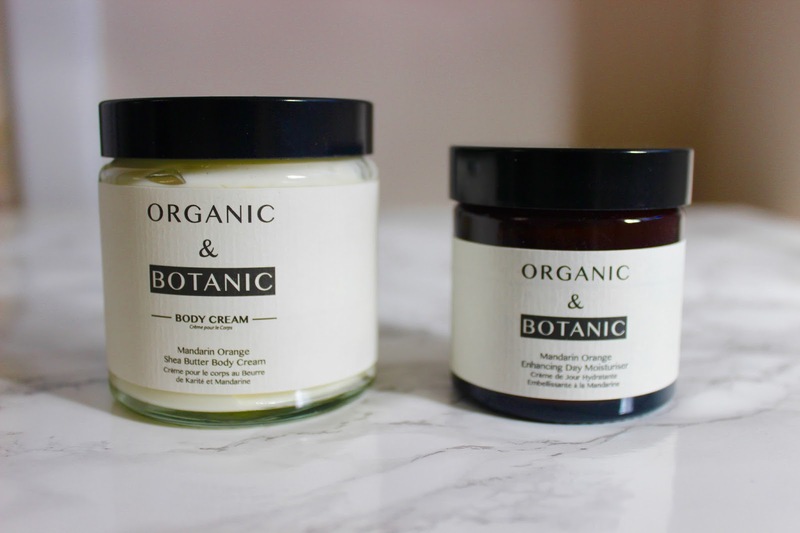 Organic & Botanic are a cruelty free skincare brand who use no parabens or preservatives in their products. I recently received two products from the mandarin orange range a enhancing day moisturiser and body cream. First up I love the packaging of both of their products so simple but look a lot more expensive than they actually are. They also came in a card packaging which goes well with their brand. 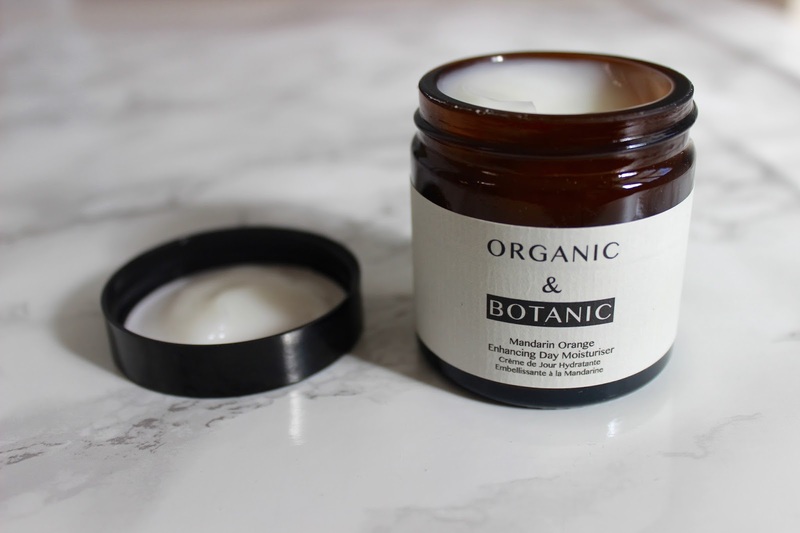 The first of the products I tried was the mandarin orange enhancing day moisturiser which aims to help keep skin fresh al day and protect it daily damage. This smells amazing you can smell it as soon as the lid is lifted orange is my favourite scent ever so I absolutely love the smell of this. I have really dry skin and have been using this every morning before putting my makeup on to try and get some moisture into my skin. I love that this isn't too thick and absorbs into the skin quite quickly, it made my skin look quite hydrated and feel so nourished. I honestly have been loving using it. Next up is the Mandarin sheer butter body cream which comes in a slightly bigger 100ml pot. 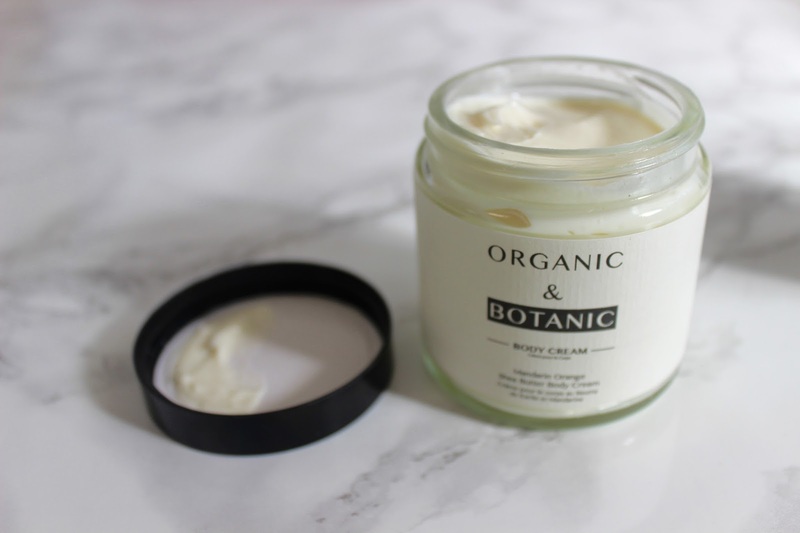 Again the scent is just incredible its so strong but not at all over powering, this is thicker than the day cream and feels so soft and smooth on the skin and the scent lasted quite a while which I find most body creams don't. My skin felt so fresh and healthy after using this. Although both products are more on the pricy side this is definitely reflected in the quality of the products they also do a amazonian berry and Madagascan coconut range. I'd definitely recommend checking their website out.